Ménage du printemps, la réserve de cartes doit partir !!!! Toutes les cartes sont %100 fonctionnel et seront configuré pour votre machine..
Si vous avez des questions, PM . Spring cleaning ,the boards stash must get cleaned !!! All cards are %100 functionnal and will be set-up for your game..
more cards will be added as they'll be tested.. If you have questions, PM . Last edited by Mindstorm88 on Mon Jun 04, 2018 6:19 pm, edited 15 times in total. 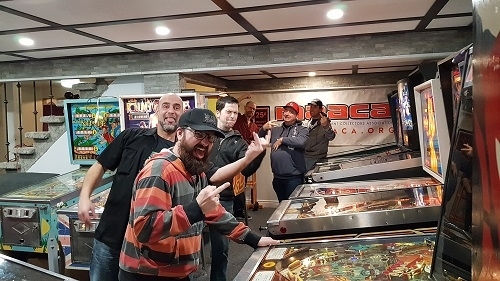 Re: Cartes Pinball Boards !!! Last edited by Mindstorm88 on Mon Jun 04, 2018 6:20 pm, edited 2 times in total. Last edited by Mindstorm88 on Mon Jun 04, 2018 6:21 pm, edited 2 times in total. Last edited by Mindstorm88 on Mon Jun 04, 2018 6:22 pm, edited 3 times in total. Last edited by Mindstorm88 on Mon Jun 04, 2018 6:24 pm, edited 3 times in total. Messenger PM sent for System 7 display board and GTB mpu. list update, some price down. Will be at Pincon if you want to save on shipping !! !